GOING TO THE DENTIST is something we should all be doing twice a year every year. If you’re already in the habit of coming in for regular cleanings, that’s wonderful! If not, here’s what you can expect from a typical cleaning appointment. 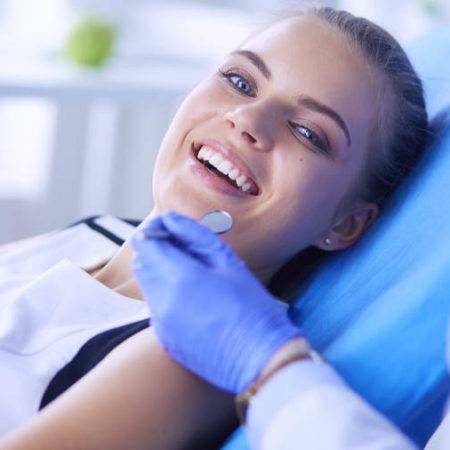 When visiting the dentist for a check-up, there are a few things that will typically happen. If you don’t have any existing dental concerns or conditions, the first step is usually dental X-rays. Your medical and dental history, your age, and your current oral health will determine how often you need these. Dental X-rays help dentists to find and diagnose tooth decay hiding between the teeth and other places hard to see with the naked eye. They also identify dental and orthodontic issues beneath the gums. The dentist will review your X-rays, check your teeth and gums for signs of decay and gum disease, measure the depth of your gingival pockets, check for swelling and redness, test how well your teeth come together when you bite down, and examine your neck, lymph glands, and mouth for signs of oral cancer. When they finish, they’ll discuss treatment for any dental work you need and give you tips on improving your daily dental care routine. 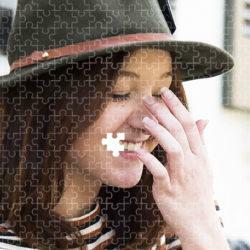 In a separate appointment – which is usually the same day – the hygienist will begin cleaning the teeth. They use a small metal tool called a scaler to scrape away any tartar in between the teeth and around the gumline. Then they’ll polish the teeth using a lightly abrasive paste and a polishing tool. This gives your teeth a nice, deep clean and removes any remaining tartar. They finish the cleaning off with flossing. Even for people with great oral health habits like brushing twice a day for two minutes and flossing daily, visiting the dentist every six months is crucial to maintaining good oral health. The reason for this is that dental problems don’t go away on their own and tend to get worse, which also makes them more difficult (and expensive) to fix. Regular dental checkups catch problems early so that more intense treatment doesn’t become necessary. Partial and full dentures have been a common solution for missing teeth for many years, but they have their disadvantages. They are prone to slipping and falling out if not properly secured, and they can lead to jaw pain and soreness in the gums. They also do not stimulate the jaw bones, so patients with dentures tend to suffer bone loss. Implants, on the other hand, are metal posts surgically placed in the jawbone under the gums and are basically a new root for a replacement tooth that looks and acts like a natural tooth. The only advantage dentures have over implants is that they are cheaper. It’s important to fill in the gap with an implant as soon as possible so the bone doesn’t erode and the surrounding teeth don’t collapse into the hole causing alignment and bite issues. The health of the underlying jaw bone will determine a patient’s eligibility for implants and which type they will receive. In a patient with healthy bone, an endosteal implant will be used. This is simply a titanium post surgically placed into the jawbone. After a healing period, the patient will have a second surgery in which a crown is placed on top of the post. For patients with bone that can’t support an endosteal implant, there are bone augmentation and grafting procedures available which allow for the subsequent placement of an implant. In most cases where a patient needs orthodontic treatment as well as implants, the braces come first, because once an implant is in the jaw, it won’t move. On rare occasions, if the braces only need to shift the front teeth and the missing teeth are located in the back, the implant can be placed before or during orthodontic treatment! Come Talk To Us About Implants! Getting dental implants is nothing to be worried about! 3,000,000 people in the United States alone have at least one dental implant and that number continues to grow. Implants are now available in Ireland making ill-fitting and loose dentures obsolete. 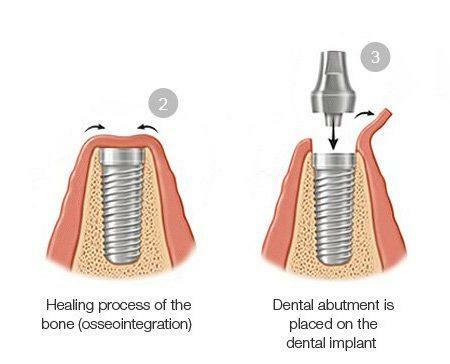 If you need a dental implant, just talk to us! 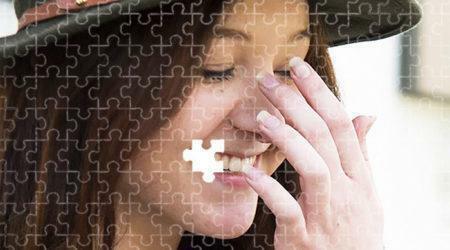 We’ll evaluate your situation and develop the perfect plan to get you the smile you deserve. Removable partial dentures. These are the simplest solution in many cases. They use the surrounding teeth to anchor them in place, or might be attached to a retainer. These are however not very comfortable and have a number of other cons. Dental bridges. As the name implies, a dental bridge “bridges” gaps by anchoring to the neighbouring teeth. Unlike dentures, bridges are cemented in place. 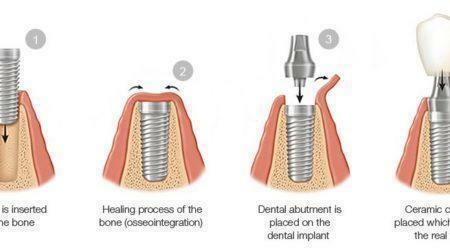 Dental implants. These will function like normal teeth, with a post fixed in the jaw bone and a crown on top that matches the natural teeth. If multiple teeth are missing, implants can be used as support for bridges.If you have questions about implants, check out this FAQ video by a woman who just got hers! Having congenitally missing teeth can be a struggle, but our practice is here for you. We can answer any questions you have and help you find the ideal treatment option so that your smile can be complete! Just give us a ring today at 021-4320004 to start your journey!